Remarks : it has 37 rooms with published room rates starting from Rp. 619,835 to Rp. 991,736. Remarks : 70 rooms. Published room rates start from Rp. 661,150 to Rp. 1,239,670. Credit card payment available. Remarks : credit card payment available. It has 138 rooms and published room rates start from Rp. 653,071 for weekdays and Rp. 608,508 for weekend. Remarks : this 23-room hotel has an open view to the beautiful Parahyangan mountain. Credit card payment available and free Wi-Fi at its coffee shop and lobby. Published room rates start from Rp. 800,000 (with various discount rates). Remarks : credit card payment available. It has 87 rooms and published room rates start from Rp. 395,000. Remarks : the hotel was established in 2009. Credit/debit card payment available. It has 59 rooms and published room rates start from Rp. 592,800. Remarks : credit card payment available (Visa, Master Card, and so on). 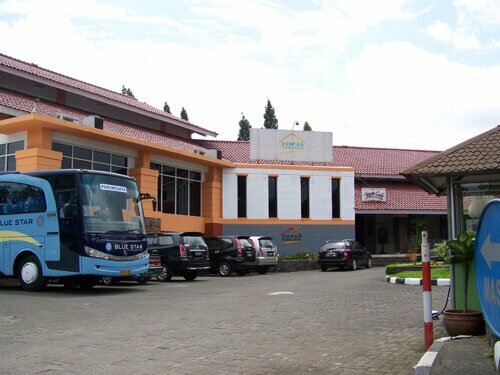 It has 24 rooms and published room rates start from Rp. 1,100,000. Remarks : credit card payment available. It has 77 rooms and published room rates start from Rp. 1,229,752. Remarks : located in China town area and it has 51 rooms, published room rates start from Rp. 306,000. Credit card payment available. 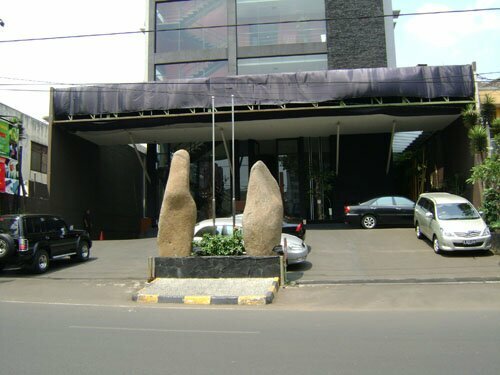 Remarks : this 62-room hotel has a good view of Bandung city, especially at night. Published room rates start from Rp. 700,000 and credit card payment accepted. Remarks : free Wi-Fi and credit card payment available. 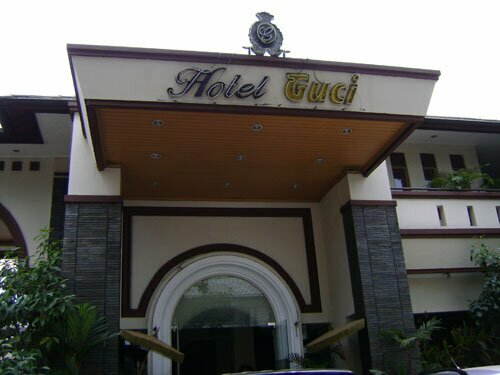 This hotel has 606 rooms, published rates start from Rp. 331,200. Remarks : it has 83 rooms and published room rates start from Rp. 502,425 and credit card payment accepted. Remarks : the hotel has 67 rooms. Published room rates start from Rp. 605,000 and credit card payment accepted. Remarks : the hotel, which was opened in 1997, has 116 rooms and published room rates start from Rp. 520,000. Credit cards payment (American Expres, Visa, Master Card, and so on) accepted. Remarks : credit card payment available. Published room rates start from Rp. 600,000 and the hotel has 76 rooms. Remarks : credit card payment available. Published room rates start from Rp. 429,871 and the hotel has 112 rooms. Remarks : credit card payment available. Published room rates start from Rp. 430,000 and the hotel has 75 rooms. Remarks : credit card payment available. It has 82 rooms and published room rates start from Rp. 390,000 to Rp. 1,220,700. Remarks : it has 120 rooms and accepts credit card payment. Published room rates start from Rp. 675,000. Remarks : credit card payment available. 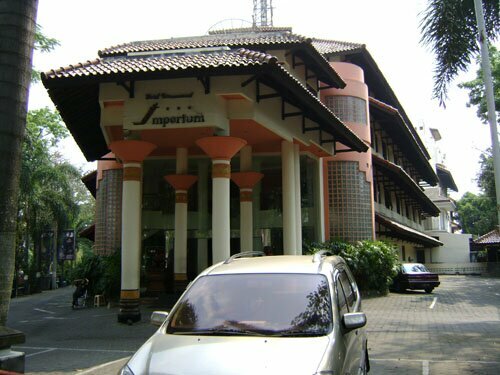 It has 76 rooms and published room rates start from Rp. 795,000. Remarks : it has 36 rooms. Published room rates from Rp. 998,250 to Rp. 3,527,150. Accepts credit cards payment. Remarks : credit card payment available. It has 149 rooms. Published room rates start from Rp. 745,000. Remarks : established in 2008, it has 21 rooms with published room rates start from Rp. 1,000,000 for weekdays and Rp. 1,250,000 for weekend. Accepts credit card payment (Visa, Master Card, and so on). Remarks : credit card payment available. It has 103 rooms and published room rates start from Rp. 477,945. Remarks : the hotel has been open since 1930 and it has 100 rooms, credit card payment available. Published room rates start from Rp. 485,000.